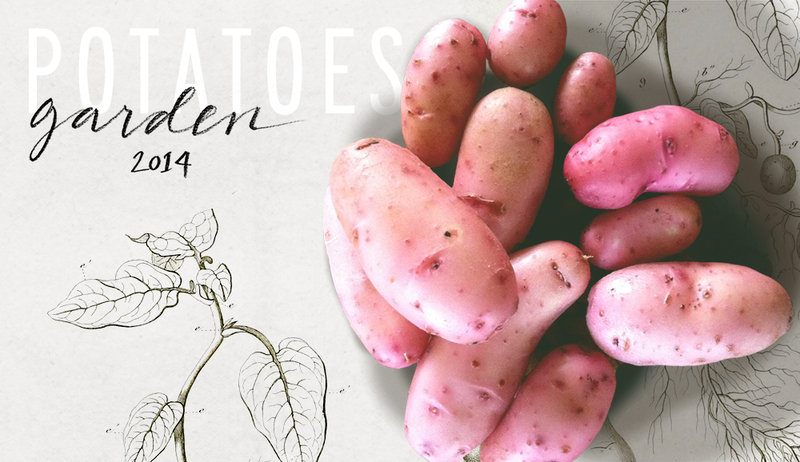 Potatoes have been one of our favorite veggies to grow since we started our garden because they are so fun to harvest. It’s like digging for treasure! Up until this year we’ve mainly done one big harvest at the end of the season for storage potatoes. But our storage set up hasn’t been ideal and we seemed to end up with lots of sprouting spuds – okay for seed potatoes but not great for eating. 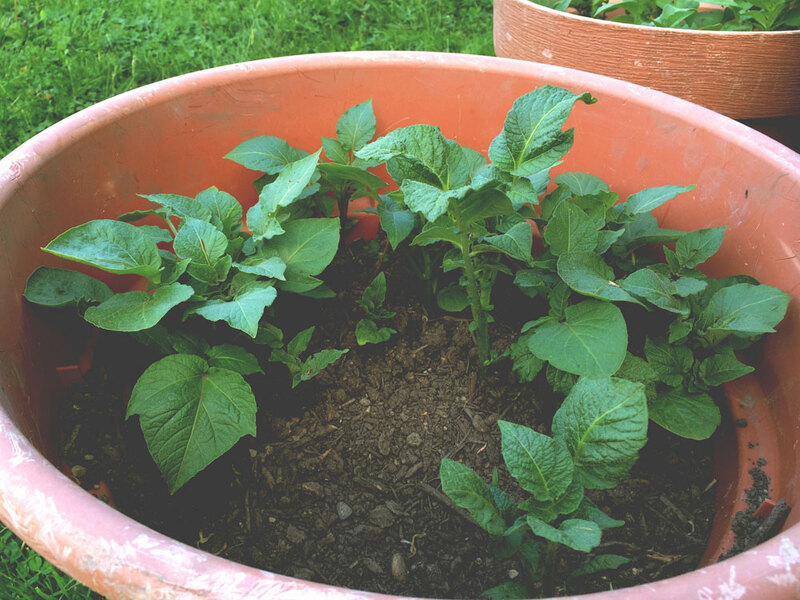 This year we plan on harvesting as we grow (it’s a sign that potatoes are forming below ground when the plant starts to flower.) 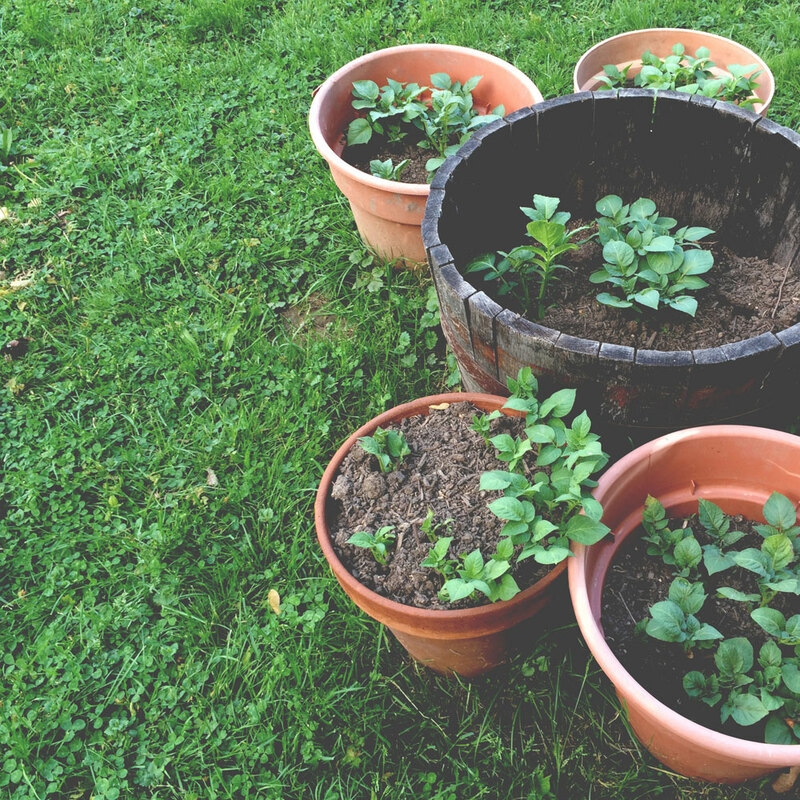 We’ve tried a few different growing methods over the years – planting in-ground and hilling the soil around the plants as they grow, a build-as-you-go bin, and last year started growing in a few different containers. I can’t say so far whether one has been more successful in terms of the amount of yield, though bins are less time consuming but a lot of soil is needed on hand to keep filling as the plants grow. We’ve been successful at saving seed potatoes over the winter so we’ve only had to purchase a couple times. 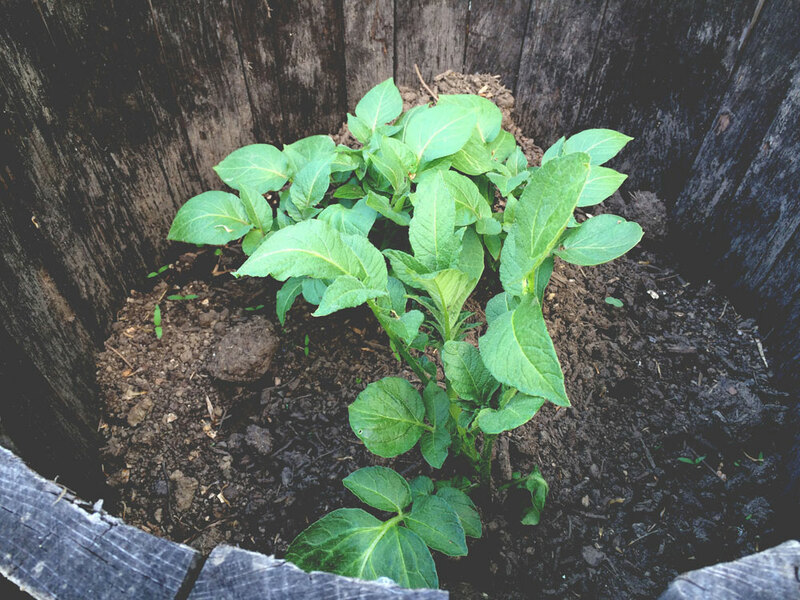 The first time, we got our seed potatoes from a local nursery. Last year we purchased from The Main Potato Lady because of the variety they offer and the reviews the company receives. They do extensive quality assurance testing to ensure no diseased potatoes make it out into the field. Use good quality soil. I know, this is a no-brainer. But halfway through the season we didn’t have any extra soil on hand to fill the bins, but we did have bags of Sweet Peet that we thought would be good enough. However for some reason, when we started filling the bins with only the Sweet Peet, the tubers stopped forming. I’m still unsure of why this happened. It could be that the Sweet Peet wasn’t acidic enough for the potatoes. Or maybe it was because it got too hot last year. We never had this issue in previous years, so this year we are sticking to compost and we’ll see how it goes. 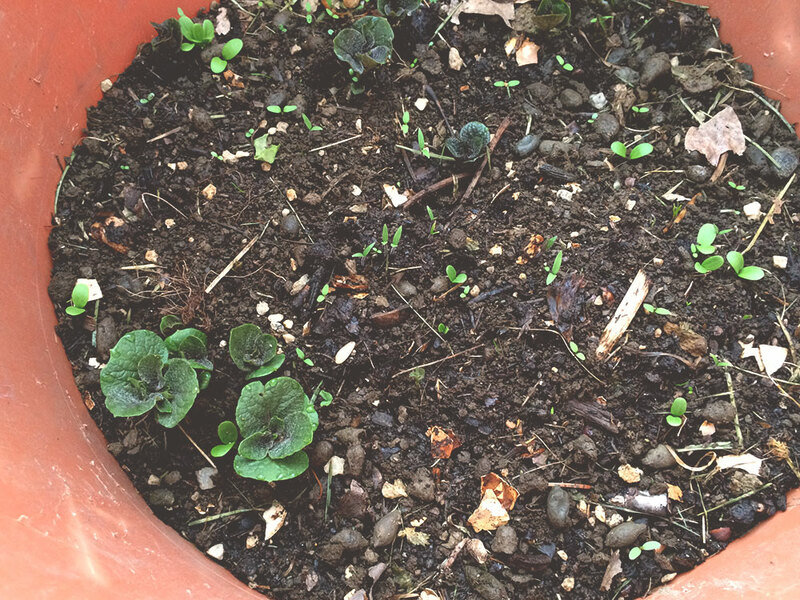 A couple weeks ago – little sprouts! I’ll post updates when we start to harvest!